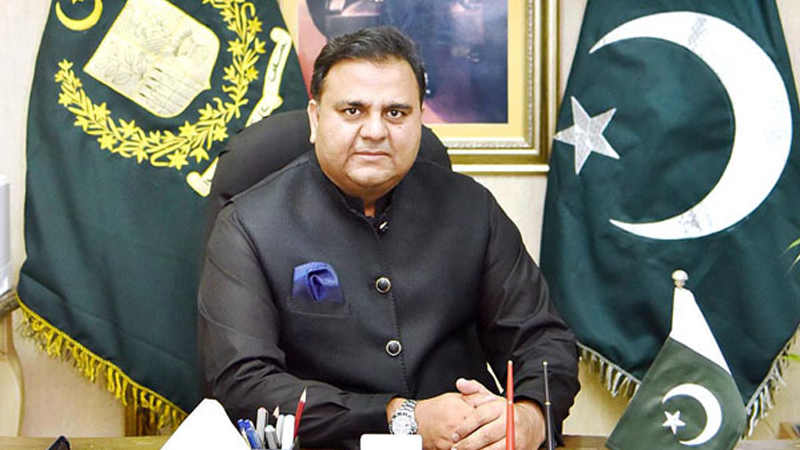 Federal Minister for Information and Broadcasting Chaudhry Fawad Hussain Friday said the name of Pakistan would hopefully be excluded from the grey list of Financial Action Task Force (FATF) in coming September as the government was being fulfilling all requirements in that regard. Talking to a private TV channel, he said most of the requirements of FATF would be fufilled till May this year. The minister said the incumbent government was implementing National Action Plan (NAP) in letter and spirit which was being appreciated on national and international level. He said the previous governments of Pakistan Muslim League-Nawaz and Pakistan Peoples Party had failed to implement NAP during their tenures. Replying to a question, he opined that opposition leader in National Assembly Shehbaz Sharif and co-chairman of PPP Asif Ali Zardari were taken fully on board regarding actions against banned outfits. Fawad Hussain said the government wanted to bring these organizations in main stream economically, politically and administratively. He said increasing salaries of members of provincial assembly in Punjab was not an issue but increasing the incentives of chief minister, speaker, chief secretary and Inspector General of Punjab police was unacceptable because it was against the austerity drive of Pakistan Tehreek-e-Insaf’s government. Federal Minister for Information and Broadcasting Chaudhry Fawad Hussain Friday expressed shock and grief over multiple attacks at two mosques in New Zealand.